I don't know about you, but I spend a lot of time sitting at my desk working (and occasionally playing online games lol). After sitting here for a while my backside gets a little numb, my lower back aches, and I'm just plain uncomfortable. 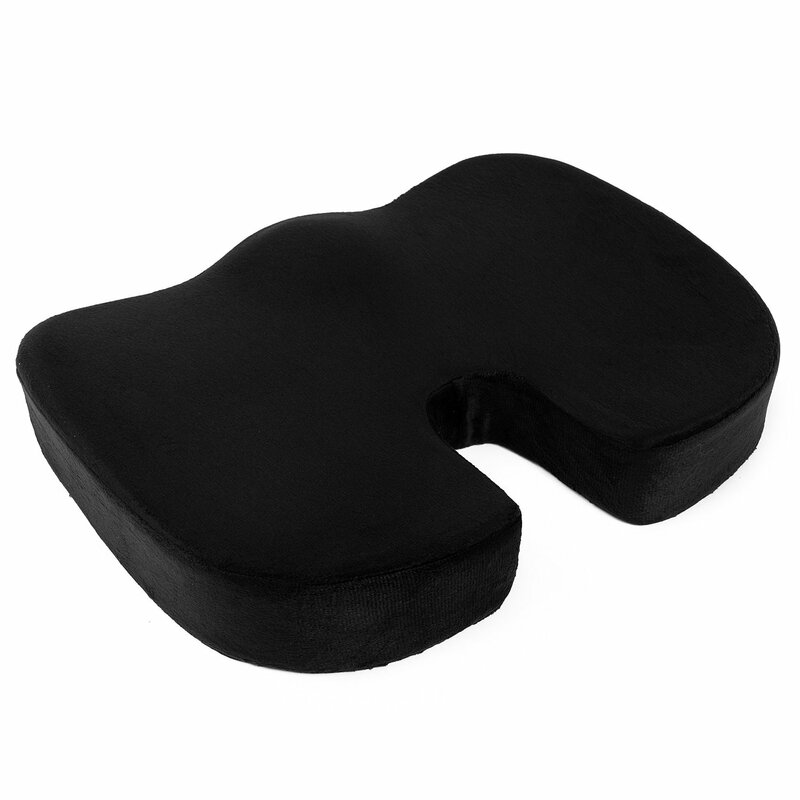 When I was given the opportunity to try out Coccyx Orthopedic Memory Foam Seat Cushion I was happy to do so. First impression, the memory foam is thick and dense. Very firm too, so it really supports my fanny where it needs it. It allows my tailbone to sit above the cushion. It's very comfortable to sit on. I had an injury to my tailbone several years ago so sitting for long periods of time is miserable. With this cushion I can sit longer for more productivity with my work online. I'd say this cushion would be a great help and comfort for traveling as well. You could place it in you car seat,airplane seat, a bus seat, however you travel. Just think of the benefit of this cushion for someone that's wheelchair bound. I'm sitting on the cushion now as I'm typing this, and I can honestly say my backside is comfy, my back feels fine, feels like my posture is more aligned. I really like that the cover on this cushion is machine washable, so I can keep my cushion looking and feeling new. Made from high quality memory foam that is engineered to never lose it's shape. That's a big plus because the ergonomic design of this cushion is so comfy I wouldn't want the shape to ever change. I also like that there's no brand logo on it, just a simple but nice looking seat cushion.